Home Chennai Whose Line is it? Youa��ve probably exhausted all the usual recreational options available in the city a�� beach, food, movie, bowling, theme parks, long drives. If youa��re wondering where to head on a lazy weekend, consider an option that will bring you closer to nature and your family. Drive down to the Thiruporur Game Fishing Farm on OMR. Run by Prithviraj, this is a place where you can unwind, learn to fish and try your hand at air rifle shooting or archery. Open to the public since December 26 last year, the farm is something Prithviraj has been working on for years. An angler (fishing with a hook) since he was four, Prithviraj has caught many varieties of fish a�� among these, the Asian sea bass or barramundi, which is stocked in the approximately one acre southwest pond of the farm (there are two ponds). These fish are preferred by anglers for their predatory instincts and are generally active after dark. Karimeen, tilapia and carp are the other options. The barramundi, that is fed live fish (while the others are given natural feed), has been in decline due to our polluted backwaters and the fishermen also suffer as a result. a�?This farm is a means of educating people and making sure they have fun while they connect with nature. The Central Marine Fisheries Research Institute cultures and distributes sea bass to fishermen who breed them in sea cages. We buy the sea bass from the fishermen at a premium and introduce them into our open pond,a�? Prithviraj informs us. 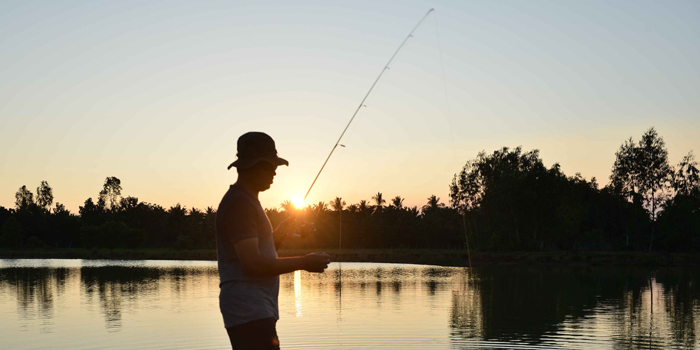 At the farm, you can opt for the common method of angling (luring fish using a plastic bait). But whata��s different here is that they employ the a�?catch and releasea�� method (you can, however, have a couple of fish grilled or cooked there as you unwind after a day of fishing). Kannan Pasupathiraj, an angler who frequents the place says, a�?The intention is not to kill it. The challenge is in luring, catching and releasing the fish, which makes it a sustainable sport. This process is still very new in India and has found favour world over.a�? They are also working to increase the number of anglers in the city, and the team here is open to teaching children at the tilapia pond. A re-wilding programme for the sea bass is being planned, where this species can be reintroduced into the wild.